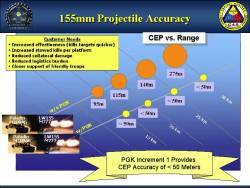 L3 Interstate Electronics Corporation announced on Tuesday (July 25) that its TruNav GPS is the company’s first Military Code (M-Code) compatible GPS receiver to guide a gun-launched spinning projectile to a target. The guided flight test was conducted at Yuma Proving Grounds by the U.S. Army as part of a series consisting of both guided and unguided rounds. The unguided tests evaluated acquisition, navigation and upfinding performance, while the guided tests verified navigation and upfinding performance when using an M-Code receiver to navigate to a target. All testing was done in a benign environment with no anti-jam or anti-spoofing features. -denied environment, and maintains accuracy while exposed to Blue Force Electronic Attack. Based in Anaheim, California, L3 Interstate Electronics Corporation is a long-term supplier of critical navigation, test instrumentation and missile tracking systems for the U.S. Navy’s Fleet Ballistic Missile (FBM) weapon systems, including the Trident submarine.